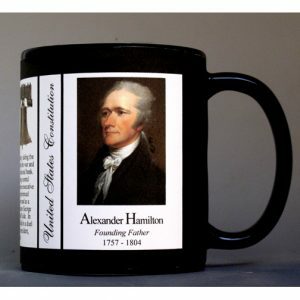 The Alexander Hamilton mug is part of a biographical series profiling individuals who served as the U.S. Secretary of the Treasury. 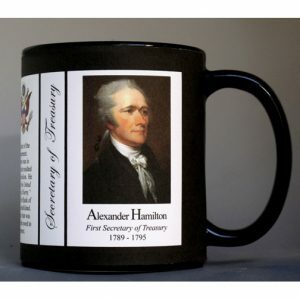 An image of Alexander Hamilton and a short biography are features of this history mug. 02- Secretary of the Treasury Oliver Wolcott Jr. The Oliver Wolcott, Jr. mug is part of a biographical series profiling individuals who served as the U.S. Secretary of the Treasury. 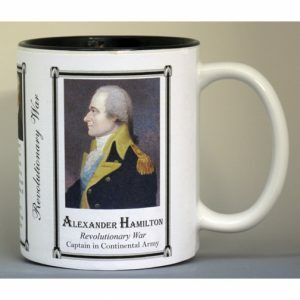 An image of Oliver Wolcott, Jr. and a short biography are features of this history mug. 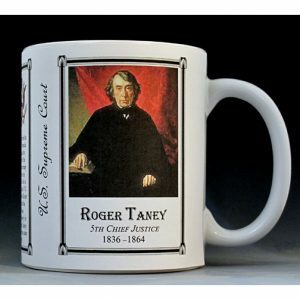 This U.S. Supreme Court Chief Justice Roger Taney History Mug is one of a collection of U.S. Supreme Court biographical mugs. An image of Roger Taney and a short biography are features of this history mug. The Salmon P. Chase mug is part of a biographical series profiling individuals who served as the U.S. Secretary of the Treasury. 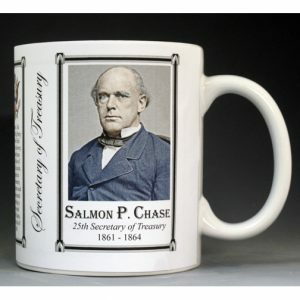 An image of Salmon P. Chase and a short biography are features of this history mug.